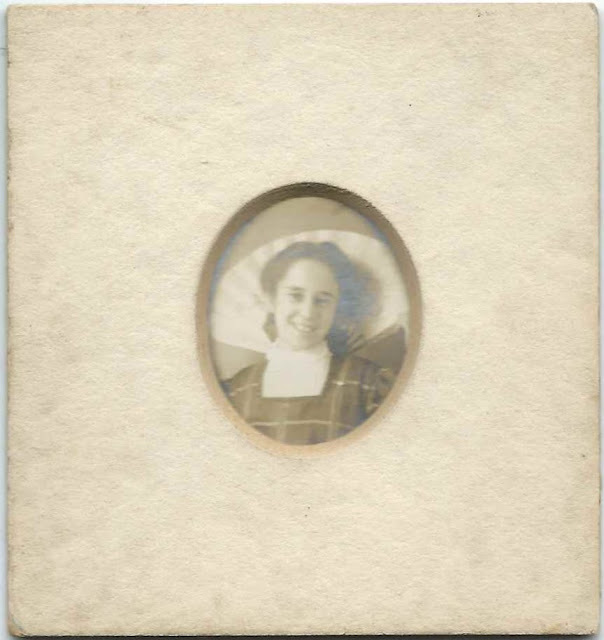 Small photograph of a girl identified on the reverse as Marilla L. Bogle in 1906. 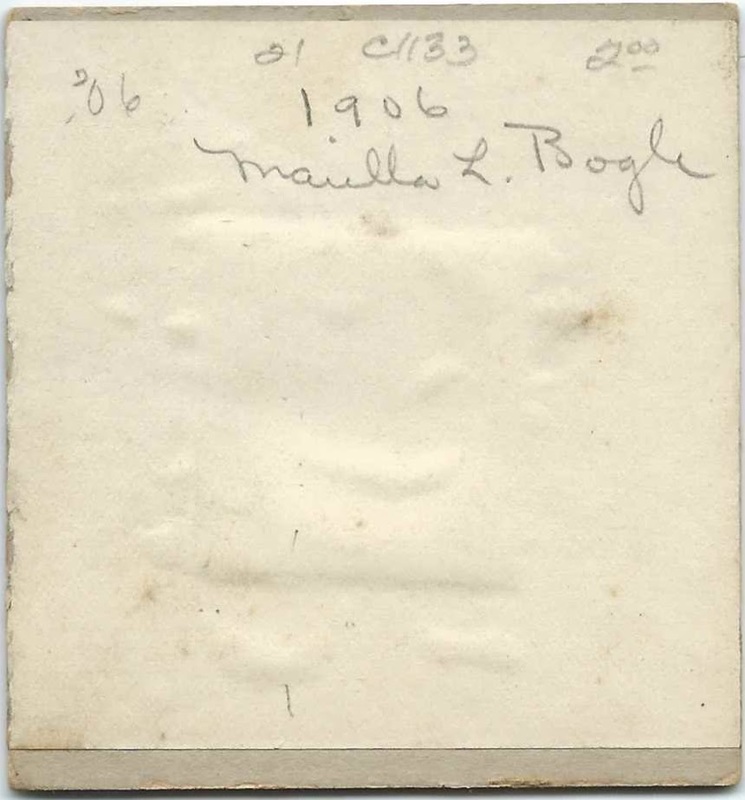 Marilla Letitia Bogle was born 6 June 1890 at Fall River, Massachusetts, the daughter of Robert Alexander Bogle and Marilla B. (Angell) Bogle, who were born at Tiverton, Rhode Island, and Providence, Rhode Island, respectively. The younger Marilla attended Brown University and graduated in 1913. Her name appears in a 1913 list of teachers newly appointed in Fall River, Massachusetts. In the February 1917 issue of the Brown Alumni Monthly, Marilla is listed as teaching English at West Warwick High School. Thanks to an June 14, 2013 article in the "Herald News" of Fall River, Massachusetts, about the exhibition "From Attic, Truck & Closet", a display of antique garments at the Fall River Historical Society, I learned that Marilla Letitia Bogle married Prescott Adams Whitman on 1 January 1921. The exhibition continues through the end of 2013. Prescott Adams Whitman was born 8 March 1896 at Providence, Rhode Island, son of Benjamin Allen Swan Whitman and Arabel Elizabeth (Barber) Whitman. The couple made their home at Providence, Rhode Island, where Prescott was a farmer. They had a son and a daughter. Whether Marilla ever went back to teaching after the birth of her children, I don't know. Marilla died in 1969, and Prescott died in 1983. Interestingly, I found a cabinet photo online of Prescott as a baby.